The UM School of Pharmacy is one of the top-rated pharmacy schools in the nation. This has a lot to do with who we are and what we value. In addition to our top-ranked research programs, stellar faculty and high-performing students, the Ole Miss School of Pharmacy is a close-knit group of dedicated health professionals and students who support each other in the pursuit of public health. 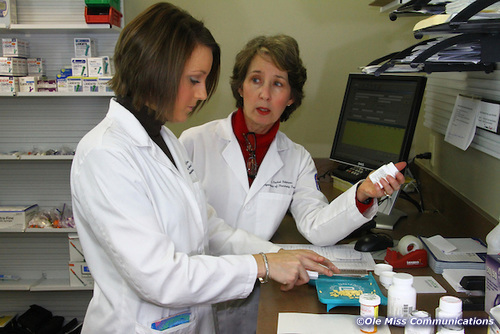 Healthcare requires trust and communication, which we teach and foster at Ole Miss Pharmacy. Pharmacist is one of the top five best-paying jobs in America. Being a pharmacist doesn’t necessarily mean standing behind a counter, however. Pharmacists work in hospitals, corporations and many other places to help ensure that the right medicine is being give to the right people the right way – every time. 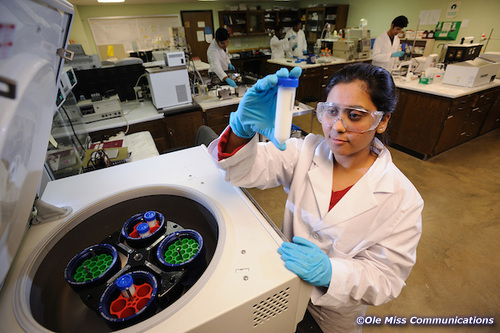 The University of Mississippi School of Pharmacy is the state’s only pharmacy school. It offers a professional pharmacy degree, known as a Pharm.D., which is the pharmacy industry standard. To complete this degree, UM students take pre-pharmacy classes for three years in undergrad, then apply to the 4-year pharmacy program, for a total of seven years of pharmacy education. Students enrolled in the professional program also earn a B.S. in Pharmaceutical Sciences after the first year in the professional program, giving them the opportunity to apply for graduate programs. High school students who are interested in pharmacy can apply to the Early Entry program during their senior year. If they are accepted and maintain their standing, they are guaranteed entry into the School of Pharmacy after undergrad, and can graduate after only six years of pharmacy education. Is your child a highly motivated student with a strong interest in science? If so, then the profession of pharmacy and the University of Mississippi School of Pharmacy may be the right prescription for their future. Pharmacists ensure patients get the right medications in the correct doses, keep track of all medications patients take to prevent harmful interactions and offer advice to physicians and patients to help manage their medication therapies. Pharmacists also have the authority and ability to administer immunizations and help patients manage chronic conditions such as asthma, diabetes, high blood pressure and high cholesterol. While many pharmacists choose to practice in independent, chain or supermarket pharmacies, others practice in hospitals, clinics, nursing homes, home health care organizations and even veterinary clinics. They also work in the pharmaceutical industry, law enforcement and government, as well as private companies and universities. How much money do pharmacists make? Average annual starting salaries of our recent graduates range from $105,000 to $122,000, depending upon where they practice. Few degrees match a pharmacy degree’s versatility, value and return on investment. How does one become a pharmacist? To become a pharmacist, one must earn a Doctor of Pharmacy degree and pass the national licensure exam. Earning a Pharm.D. from the University of Mississippi requires seven years of collegiate study, including three years of pre-pharmacy courses and four years of professional pharmacy course work. Will my child get a job after graduating? Pharmacists enjoy one of the highest employment rates of any profession in the country. Most UM Pharm.D. students receive job offers months before they graduate and are employed within weeks of graduating. Why is UM the right prescription for my child’s future? Our degree programs foster mastery of the practical and theoretical knowledge and analytical, communications and teamwork skills needed in today’s rapidly changing health care environment. Because of this balance of knowledge and skills, our graduates are leaders and managers in biomedical research companies, hospitals, government agencies, universities, trade organizations, Fortune 500 companies and every imaginable pharmacy practice setting. Our curriculum provides ample opportunities to assess and counsel patients, monitor their drug therapies and dispense their medications. As a result, our students’ five-year pass rate on the national licensure exam is 96.8 percent, which is higher than the national average. This makes our graduates highly sought after and their credentials impeccable. 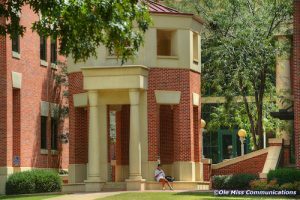 With Ole Miss tuition among the nation’s lowest and many of our programs among the nation’s finest (e.g., Sally McDonnell Barksdale Honors College), our students often say Ole Miss provides a private education at a public school price. UM pharmacy students who maintain a 3.5 grade-point average receive scholarships ranging from $1,000 to $2,000 per year. Additional scholarships are awarded to students who earn 4.0 GPAs. The scholarships, which increase as students progress through the curriculum, reward academic performance and are entitlements for which students need not apply. Our Oxford campus is the second safest in the SEC and among the top 20 safest campuses in the nation. Our energetic and talented research and teaching faculty members successfully secure extramural funding for their internationally competitive research, enabling them to share emerging scholarship with students in state-of-the-art classrooms and laboratories. Oxford Campus—Pre-pharmacy and pharmacy students take classes on UM’s main campus in Oxford, one of the best college towns in America. Our students enjoy such activities as shopping and fine dining on the historic Oxford Square, visiting William Faulkner’s home Rowan Oak and fishing, camping and kayaking on Sardis Lake. Jackson Campus—Students in the third professional year move to UM’s Medical Center in Jackson for active learning and practice experiences. Jackson is the center of the state’s bustling medical enterprise and provides numerous opportunities for students to begin their career-long interaction with physicians, nurses and other health professionals. Our students practice what they learn in their classrooms and laboratories by working with patients under the supervision of a faculty member or licensed pharmacist. Many of these practical experiences take place at the UM Medical Center, where students apply their therapeutics knowledge and hone their skills in ambulatory care, cardiology, critical care, internal medicine, nutrition support, oncology, pediatrics, psychiatry and other specialties. 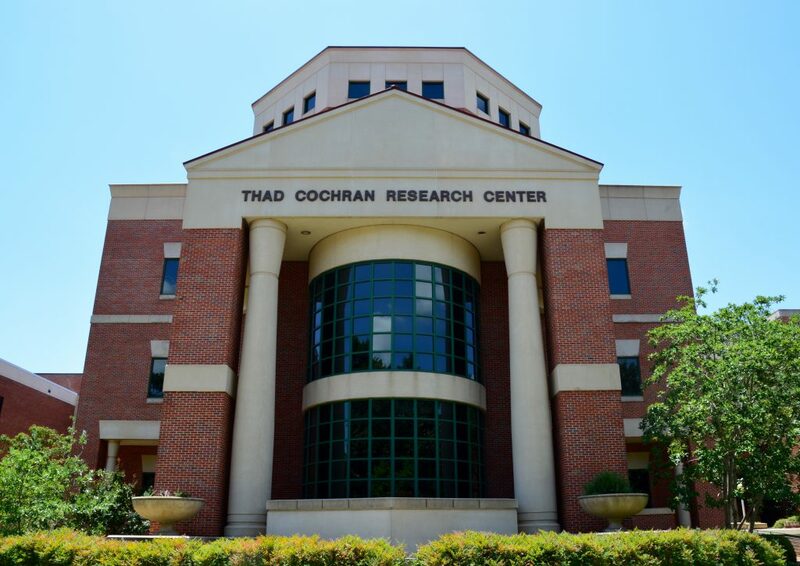 In addition to its 100 full-time teaching and research faculty, the School of Pharmacy has more than 350 pharmacists serving as preceptors at 160 sites in Mississippi and the Mid-South. These preceptors acquaint our students with patient care in a variety of inpatient and outpatient settings during their professional rotations. These firsthand experiences prepare our students to practice wherever they choose. With enrollment limited to 115 students in each year of our professional program, opportunities abound for developing personal and professional friendships with faculty, preceptors, staff and other students. Many of those friendships will last a lifetime. In addition to its faculty, administrators and preceptors, our school’s alumni take pride in supporting and mentoring our students. They know the value of a pharmacy degree and want to share their experience. Ranked the No. 1 tailgating spot in America, our Oxford campus transforms into an unforgettable celebration on football game weekends. UM’s more than 200 student organizations provide ample opportunities for your child to get involved in philanthropic, recreational and professional activities and develop leadership, communications and teamwork skills. 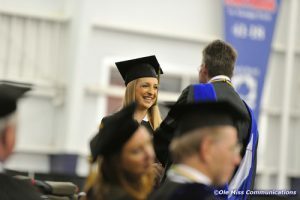 The University of Mississippi is accredited by the Southern Association of Colleges and Schools, and its Doctor of Pharmacy program was reaccredited in 2012 for the maximum eight years by the Accreditation Council for Pharmacy Education. The pass rate on the national licensure examination for the 2016 graduating class was 96.8 percent, and 91% percent of the entering professional class in August 2012 graduated with their Pharm.D. degree prior to September 2016. The best way to find out what the UM School of Pharmacy has to offer is to visit our campus. To schedule your visit to experience Ole Miss firsthand, please call the admissions office at 662-915-7226 anytime between 8 a.m. and 5 p.m. Monday through Friday, or go to olemiss.edu/visit. We would be happy to personally show you why the UM School of Pharmacy is the right prescription for your child’s future. Contact an admissions counselor at pharmstuservices@olemiss.edu or 662-915-7996. Sign up below to learn more and to register for an Ole Miss Pharmacy Swayze shirt! If you're interested... Include your information below to register for an Ole Miss Pharmacy Swayze shirt and to learn about the School of Pharmacy's academic programs.